In this sequel to Historiography And Imagination (UEP 1994), Professor Wiseman explores the question of how the Romans understood their own past and the role of early drama in generating and transmitting legends. The first six of the book's twelve essays are concerned with stories and scenarios in the surviving literature which are best explained as having been first created for the stage. The other essays discuss the family traditions of Roman aristocrats, the rites of spring enjoyed by the Roman plebs, the use of Roman history in the radical politics of the nineteenth century, and how a great modern Roman historian exploited the novelist's art. The book is designed to be accessible to anyone with an interest in the ancient world, and all Latin and Greek is translated. This collection of essays demonstrates great depth and breadth of knowledge in the areas of Roman history, literature, culture, and archaeology, as well as exceptional analytical skill and creative imagination, which contemporary historians of republican Rome have come to associate with the name of T.P. Wiseman. ... 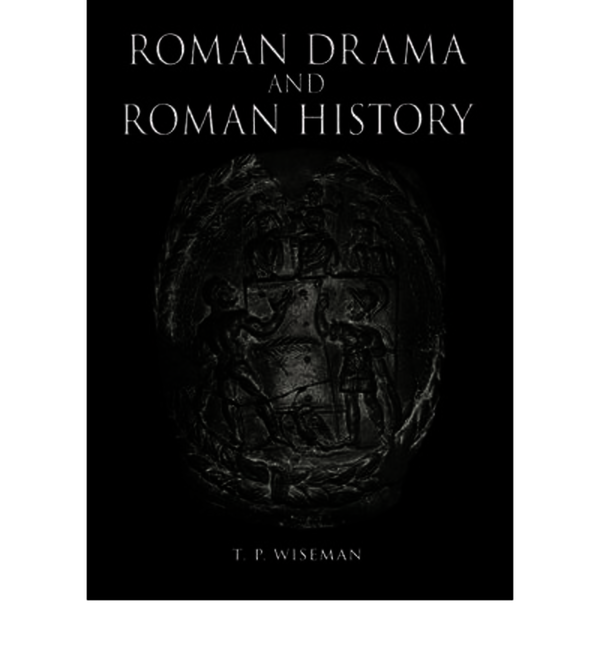 This volume is no disappointment, dealing as it does with two controversial and interlocking themes: the origin of the historical tradition on early Rome, and the nature of drama and dramatic festivals in the Roman Republic ... Wiseman is a fine writer for many reasons. He produces interesting and compelling theories for the specialist and yet never loses the common touch. Indeed, this book, in which all Latin and Greek is translated, has a style which should appeal, as the publisher intends on the back cover, to"anyone with an interest in the ancient world. Wiseman is one of the most imaginative and challenging historians of Rome in the world. This book will be a major contribution to Roman studies. Wiseman is a master of constructive fiction, and everything he writes is exhilarating. In fact, it would be hard to think of an ancient historian whose work is beter designed both to inspire advanced students with a sense of what impressive edifices can be constructed with bricks so short on straw—and also to hone their skills at testing, if necessary to destruction, the weak links in chains of overextended argumentation. Everything Wiseman writes is stimulating, rich in both historiography and imagination ... However we may jibe at specific suggestions, we should endorse his general hypothesis of oral transmission, and relish the way he has brought early and mid-republican Roman culture back to its full life and colour. His mixture of daring and scholarship, his wit, and sense of the vitality of Roman communal life make a convincing case for Roman scenarios, serious or mimic, as sources of popular historical traditions.